Who are ESL qualifications for? Which ESL qualification is best for me? That depends on what you need the qualification for, and what ESL testing services are available where you live. For many purposes, you will find that your ESL choices will be decided by the school or college course you want to take. Before registering for a UK degree or post-grad course, all international students whose first language is not English are required to have an appropriate grade in an 'approved examination'. UK universities are allowed to set their own English language requirements and these differ depending on the nature of the course the university is offering. Courses involving lots of communication (eg law and medicine) tend to have higher requirements than, for example, engineeering courses. To find out what your chosen university course requires check the university website, or visit the main UCAS website. Universities state their minimum English language requirements in a wide variety of different 'approved examinations'. Most universities run additional English language support courses, called Pre-Sessional English courses, which may incorporate a recognised ESL qualification. Pre-Sessionals are courses ranging from 4-12 weeks of intensive English language study provided by universities in the summer months. By successfully completing these courses, students gain automatic entry to the particular university’s courses. Many Pre-Sessionals will incorporate IELTS preparation (see later), and a final sitting of the IELTS exam where students will need to get the Band score needed for their particular course. You will need to satisfy the school or college you want to join that your English is good enough to cope with the course you have chosen. Different courses will have different requirements, so the only reliable way to find out is to contact the school or college you want to join. If you need a visa to study in the UK, you will need to satisfy UK Visas and Immigration (UKVI) that you have a recognised ESL qualification, and UKVI rules are strict (see next section). If you need to get a visa in order to study in the UK you must apply to the UKVI for a 'Tier 4 visa', for which you will need to have an approved ESL qualification. If you are applying for a visa to study a university degree or post grad course, the UKVI will accept the range of qualifications described in the 'Main recognised ESL qualifications' section below: if your university has accepted your ESL qualification, UKVI will be happy with that. However, the UKVI rules are tougher if the course you want to join is below degree level (eg if you want to join an English-system school, or a foundation studies course, or pre-sessional course at university) and the rules also depend on your age. We suggest you get advice from the course you want to join to be sure that you have the right ESL qualification. In most cases this will involve taking an ESL exam called IELTS (see later), at a Secure English Language Test (SELT) centre. The exam is the same as the normal IELTS exam, but there are stricter identity checks. SELT centres are less available than regular IELTS test centres, though there should be at least one SELT centre in most countries (the UK has approximately 15 centres at present). If you have completed secondary education up to and including the equivalent of year 12 in one of the UKVI's list of officially recognised english-speaking countries, (and you have gained a 'GCSE equivalent' English language qualification) then further proof of your English language ability is not required. If you are applying for a job that needs good English skills, your employer will want evidence of the level you have reached. It may be enough to show a pass in your country's normal school exams, but a recognised ESL qualification (see below) may be required as well. That depends on your employer. If you have taken a serious English course, you will want proof that you reached pass level. If you take a recognised ESL examination it not only shows the level of English you reached, but your certificate will be recognised more widely than if you just take an 'internal' end-of-course exam. Each of the following ESL qualifications are accepted by most countries and many institutions around the world, including universities, government agencies, professional and industry bodies, and multinational companies. 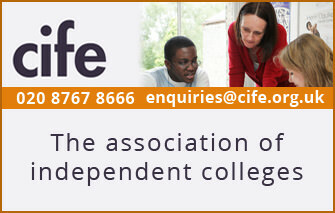 They are approved by UKVI for entry into the UK. IELTS tests are available worldwide (See the IELTS website to find your nearest test centre). There are two types of IELTS test – Academic and General Training. The Academic test is the one required for study in the UK. The IELTS test takes just under three hours and consists of four parts: reading, writing, listening and speaking. The result of the test is a ‘Band’ score between 1 and 9 (9 is the highest). Most UK universities now require a minimum of Band 6 with no individual component (Reading/Writing/Listening/Speaking) lower than Band 5.5. Some courses require higher Band scores than others – for Medicine, for example, students may well need a minimum of Band 7.5. As a guide, a Band 6 score is equivalent to B2 of the Common European Framework (CEFR). Note that grades/scores for IELTS are valid for a maximum period of two years. 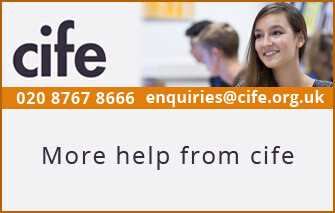 Cambridge offer a wide variety of ESL exams at many levels, from Starter and Schools through to Advanced and Business. 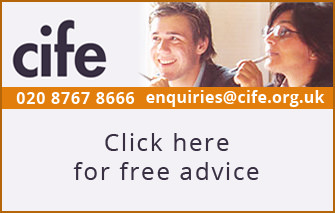 Cambridge also offer qualifications targeted at those studying or working in international law, accountancy or finance. The Cambridge English Advanced exam (CAE) is aimed at students following a degree-level course at university and is widely recognised by institutions in 130 countries and can be used for student visa applications. The exam is divided into five sections: reading, writing, use of English, listening and speaking, with each section counting as 20% towards the final mark. 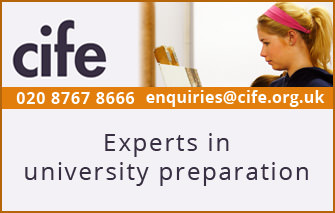 The Cambridge Certificate of Proficiency in English (CPE) is a higher level qualification then CAE and both examinations are recognised as fulfilling English language requirements by UK universities. Assessment of Cambridge examinations is linked to the Common European Framework. Business English Certificates (BEC) CEF Levels B1 to C1 are internationally recognised qualifications that show employers a person's skills for using English in the workplace. There are three different levels: BEC Preliminary, BEC Vantage, BEC Higher. More information about the above and other Cambridge exams may be found on the Cambridge English official website. The Pearson Test is an international computer-based academic English language test that measures English language ability for universities, higher education institutions, government departments and other organizations requiring academic-level English. The test measures the Listening, Speaking, Reading and Writing ability of students who are non-native speakers of English and who want to study at institutions where English is the main language of instruction. Trinity College English exams are widely accepted by universities and employers. They offer several main suites of examinations with language levels that can be aligned with the Council of Europe Common European Framework (CEF). TOEFL is an exam based in the USA. It is mainly aimed at US institutions but it is also recognised the world over and shows a UK university or college how well you can communicate in English at undergraduate level. 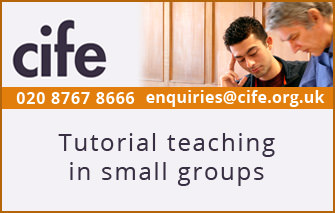 The TOEFL test is generally administered via the internet and is known as the TOEFL iBT Test. If you are taking the TOEFL test in a test centre without internet access, a paper-based exam is available (TOEFL PBT). TOEFL scores may be aligned to the Common European Framework. 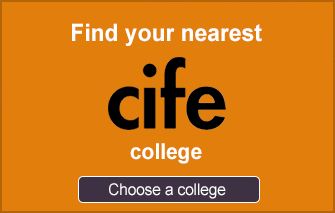 Here's a detailed guide to choosing the best TOEFL prep course.